Get ready for a musical journey next to the most popular ant of the internet! With Bob Zoom and his friends, your kids will have great fun with music and educational stories full of imagination. The songs are composed by professionals in early childhood education. Downloading the app, you get access to 5 free clips in English. 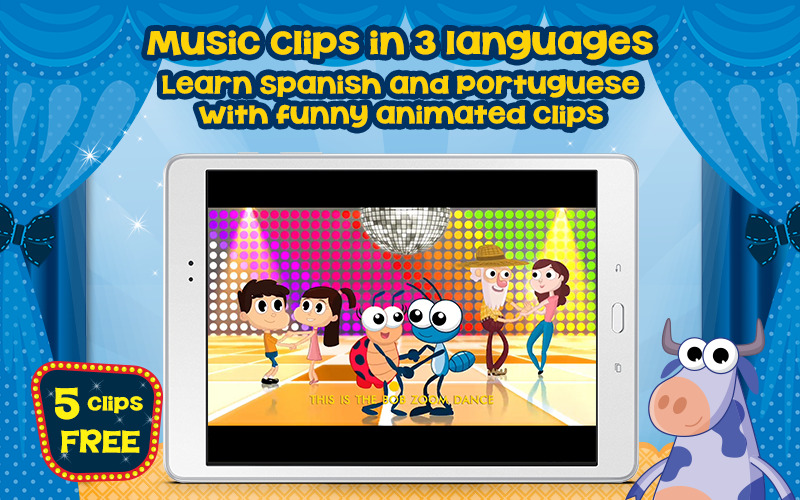 There are more clips, and in some other languages for your kids to learn. Cast the videos to Chromecast, anywhere.